The Smok I-PRIV is the first voice control artificial intelligence vape kit. the new e cig kit will hear you, respond and execute your commands. new smok vape kit has 8 colors available, includes 230w TC mod and TFV12 prince tank. the I priv mod has the strong shell and fully covered with the exoskeleton, let it looks more fashionable and better hand feeling. 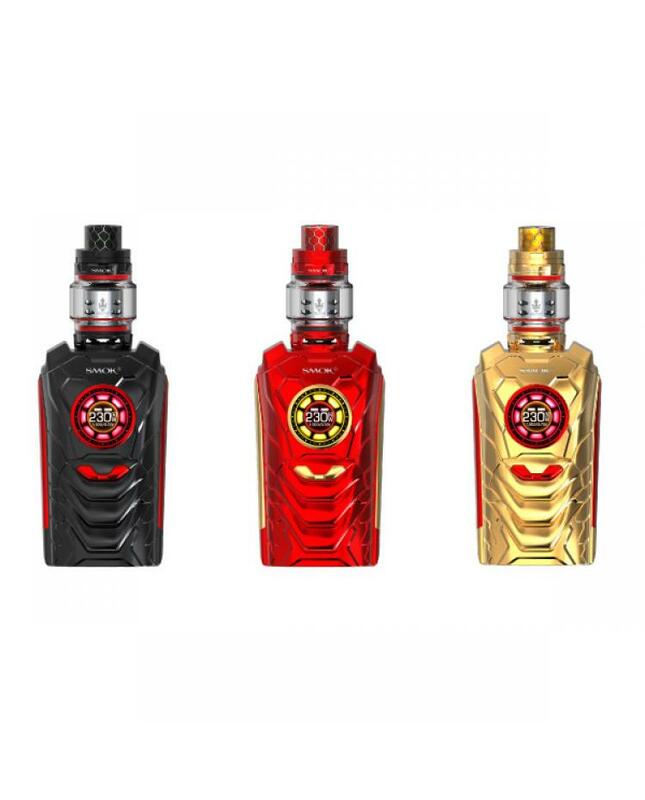 the i-priv mod has round TFT screen like the warrior' arc reactor providing inexhaustible power to the whole vape kit and show the clearly vaping data. the I-PRIV with Al technology, it will hear, response and execute your command.the voice control system will execute 16 command codes, but first, you must wake up it by saying: "Hello, i-priv. ".the I priv have brand new dynamic user interface, which can bring you excellent visual experience,you can directly see the vaping data, working modes, vaping effect, voltage, battery life, resistance etc.the dual battery life indicator on the TFT screen will show you accurate conditions of two batteries, according to which you can know when need to charge the batteries. the smoktech voice control mod powered by dual 21700/20700/18650 batteries, max output 230watts, the big lateral fire key allow it much easier to operate. the new voice control mod provides multiple types of protections to avoid potential risks. the TFV12 prince tank can hold 8ml e juice, newly added the v12 prince mesh and v12 prince strip coil heads, compared with traditional coils, they have large heating areas and can withstand higher power. the complete vape kits with these new coils, you can enjoy the unprecedented pure flavor and massive clouds.